Lok Sabha TV (LSTV) is the medium to build objective perspective of viewers on parliamentary affairs in the country. In its more than a decade long journey, the channel has remained committed to close the gap between the people and their elected representatives by making accessible to all, the work of the parliamentary and legislative bodies of India. Today, the channel reaches out to every nook and corner of this country. Under the patronage of Smt. Sumitra Mahajan, Hon’ble Speaker, Lok Sabha, LSTV constantly endeavors to empower the people of India by promoting greater accountability and transparency in governance - two major components of democracy. Our dynamic and talented team of professionals who form the backbone of this set-up day-in and day-out work towards conceptualizing and bringing out programmes to address the information needs and concerns of an effective democracy. 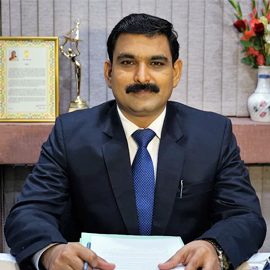 It is therefore not surprising that our channel has continuously received adulation over all these years from various segments of the society ranging from intelligentsia to students preparing for competitive exams across the nation. I take this platform to express gratitude on behalf of the entire LSTV team to our discerning viewers who continue to repose their confidence in us.